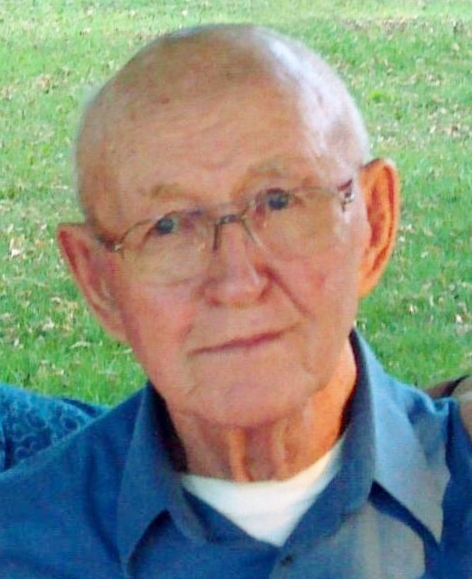 Virgil Ray Dempewolf, age 94, of Spring Valley, MN died September 10, 2018 at the Spring Valley Care Center. Funeral service will be held at 11 AM on Friday, September 14, 2018 at Faith United Methodist Church in Spring Valley, MN with Pastor Deanna Woodward officiating. Burial will be in the Etna Cemetery. Friends may call at the Hindt Funeral Home in Spring Valley from 4:30 – 7 PM on Thursday, September 13 and at the church an hour before the service on Friday. Virgil was born September 28, 1923 in rural Cresco, IA to Roy and Jennie (Davis) Dempewolf. He attended Cresco High School and later served in the U.S. Navy during World War II, stationed at Subic Bay in the Philippines. After serving in the war, Virgil returned to farming near Cresco, IA. Virgil met his wife Marie at the Terp Ballroom in Austin, MN. They married on June 6, 1959 at Bethlehem Lutheran Church in Myrtle, MN. They farmed near Cresco and in 1964, bought a farm and raised their family near Spring Valley, MN. Virgil had a passion for farming; it was his life’s work. He loved being outdoors and enjoyed long road trips, traveling to many parts of the country. He also loved entertaining grandchildren with hayrides and farm life. Virgil was a long-time member of Faith United Methodist Church in Spring Valley. He was a wonderful father and grandfather. He was kind and always had a smile on his face. He lived a life of gratitude every single day. He is survived by four daughters, Dawn May (Matthew Murtha) of Hampton, NH, Denise Dempewolf of Rochester, MN, Donna Dempewolf of Spring Valley, MN, Darcy Buschmann (Doug) of Grand Meadow, MN and son, Royal (Lynne) Dempewolf of rural Spring Valley, MN; 8 grandchildren, Stephanie (Eyal Ezra), Elizabeth, Grant, Reid, Crystal, Mitchell, Tyler and Tanner; two great grandchildren Amy and Levi; and brother Morris (Judith) Dempewolf of Spring Valley, MN. He was preceded in death by his wife, Marie, grandson, Samuel May, his parents, Roy and Jennie Dempewolf, and sisters, Evelyn Dempewolf and Irene Krueger. Memorials are preferred to the Etna Cemetery, Faith United Methodist Church, or the Spring Valley American Legion. The family would like to express their gratitude to Heartland Hospice and to the many staff at Spring Valley Living who cared for Virgil.